Retailing consists of the sale of goods or merchandise from a fixed location, such as a drugstore store or kiosk, in small or individual lots for direct consumption by the purchaser. In commerce, a retailer buys goods or products in large quantities from manufacturers, either directly or through a wholesaler, and then sells individual units to the end-user. Manufacturing marketers see the process of retailing as a necessary part of their overall distribution strategy. SplitTarget has had experience bringing products to the Retail Market, and understand the overall scheme required to be successful. 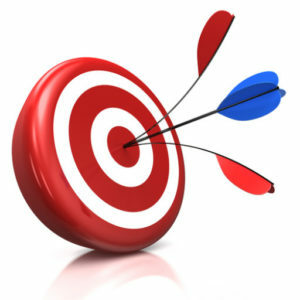 If you are aiming to get your product to market on the retail shelf – SplitTarget will assist with your success! SplitTarget team members have worked to build one of the largest DNA testing brands in the US, first launching a revolutionary online service for DNA relationship and ancestry testing, and then moving it into retail space with Rite-Aid, Walgreens, CVS, and more. SplitTarget develops a responsive, proprietary Super-SEO website with ecommerce for AbuseCheck, a substance abuse website. An online relevancy program and AdWords / LinkedIn pay-per-click programs were strategically planned, launched, and are continually managed. SplitTarget Corporate Capabilities Brochure – Offering website development, cloud hosting, retail targeting, and interactive marketing solutions. SplitTarget is also assisting companies by training their employees on how to improve the companies success with introducing them to online marketing tactics and how to get their products on the store shelves in the retail market. With expertise in marketing strategy, SplitTarget aims to assist professionals with uncovering new discoveries and furthering their understanding of the online marketing tactics, the retail industry, and the peripheral technologies related to these areas. Whether it is training, strategies, or implementing, SplitTarget has both the experience and creativity required to deliver on the goals you, your employees, and/or colleagues need to advance their products or services into the market. We plan to succeed by achieving both product sales objectives and corporate branding goals. Marketing consumer oriented DNA tests and skilled training services; creating new distribution channels; developing online and offline ad communication strategies targeting specific audiences; new product development; and selling to high-level positions in pharmaceutical, biotech, life sciences, and clinical research organizations. SplitTarget has an exceptional understanding of internet marketing tactics and has demonstrated success in selling to all levels of organizations in several disciplines. (C) 2017 SplitTarget, A Division of GeneTree Inc.